Welcome to the Pennsylvania Mathematics Initiative! Improving mathematical education for all children in Pennsylvania schools at the elementary school levels. Strengthening the understanding and implementation of mathematics, enabling teachers to make better pedagogy decisions about mathematics. Close the gap between mathematical training for teachers and the demands of the contemporary mathematics classroom. Promote teachers’ expertise in mathematics and mathematical thinking. Develop teacher-leaders to aid other math teachers within their districts. Week-long intensive summer workshops hosted on the University Park campus. One-day seminars focusing on implementing pedagogy in the mathematics classroom. If you are interested in participating in one of the PMI workshops, check the Blog for announcements or email Andrew Baxter (baxter@math.psu.edu) to join the mailing list. Announcements for summer workshops are made by January. 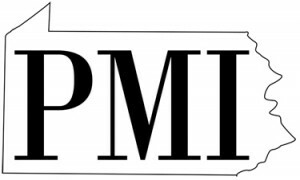 If you are interested in having a PMI workshop come to your district or Intermediate Unit, contact Andrew Baxter (baxter@math.psu.edu). I am interested in learning more about this initiative. How do I apply for this class? I am interested in taking advantage of this wonderful opportunity to expanded my knowledge in math ,so I can better assist my students. I would love to have this wonderful opportunity to attend this outstanding workshop this summer. I know it will be most helpful to myself and most importantly the students.. I am a fifth grade teacher in Philadelphia and a Penn State College of Education alum! I am looking to receive more information on the Professional Development as well as how to apply for a scholarship. Thanks in advance! I am a teacher in Philadelphia and I am really interested in a Math professional development. I am hoping to get a scholarship! I am interested in attending a workshop. What do I do next? I’m a special education teacher and I’m quite interested in your program. I’m always looking for new and exciting ways to teach this population. I’m also hoping to get a scholarship as I work with inner city public schools. Desiree, if you give me your contact information, we can see if we can set something up. I am looking for some professional development for next summer. I currently teach 4th grade. I would like professional development for math and science. Please let me know if you have any development for the 14-15 school year.